Woot Woot!! 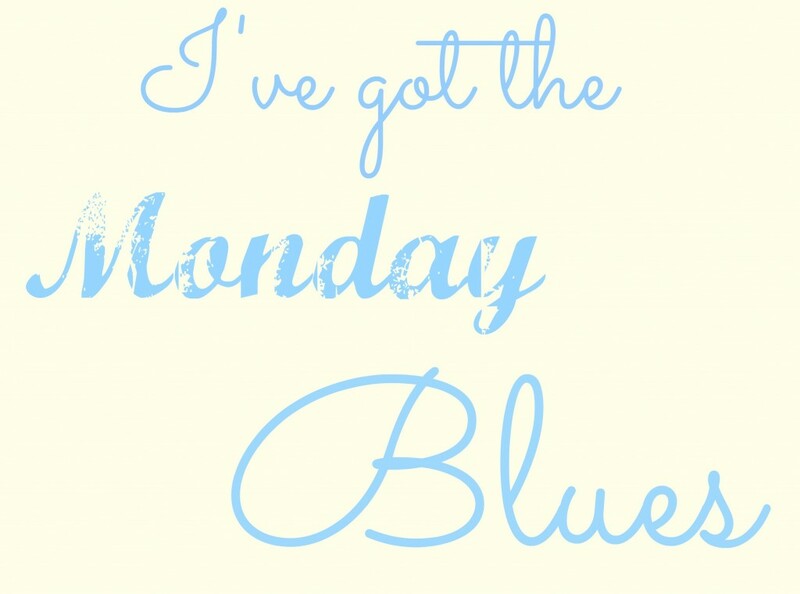 I’ve Got The Monday Blues!! I am very excited for these amazing blues to share with you on this Blue Monday!! Look at this adorable blue vanity. 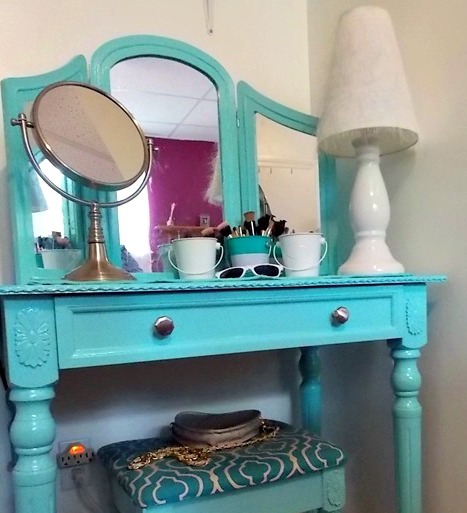 After Nicki painted her vanity, it went from drab to fab. Did you see the fluffy lampshade, too?? Just the right touch!! To see more visit: Sweet Parrish Place. 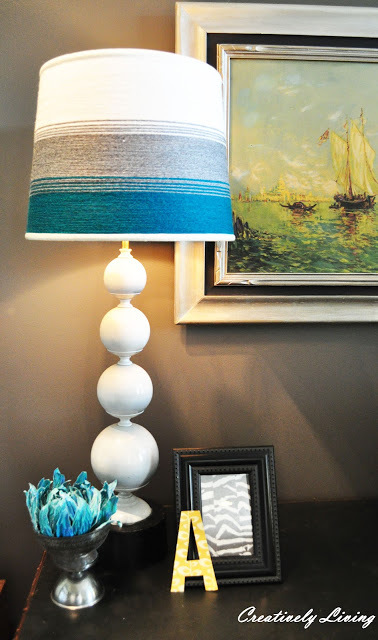 Using various colors of yarn, Kate from Creative Living transformed her lampshade! The blue, gray and white accent her painting perfectly. Erica writes with Spoonful of Imagination. 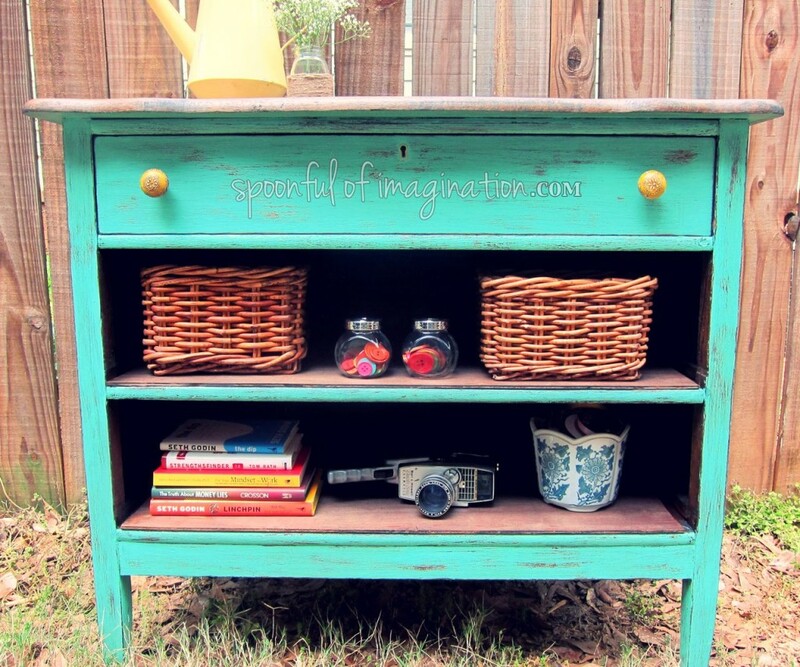 With work, paint, and sanding Erica made over a drawerless dresser into a beautiful blue piece for her home. And don’t you love the yellow drawer pulls?? Brooke from All Things Thrifty shares her new blue kitchen and accessories. From the blue chairs, to the blue walls, and the blue chalkboard frame, and not to forget the light fixture-this room is so inviting. 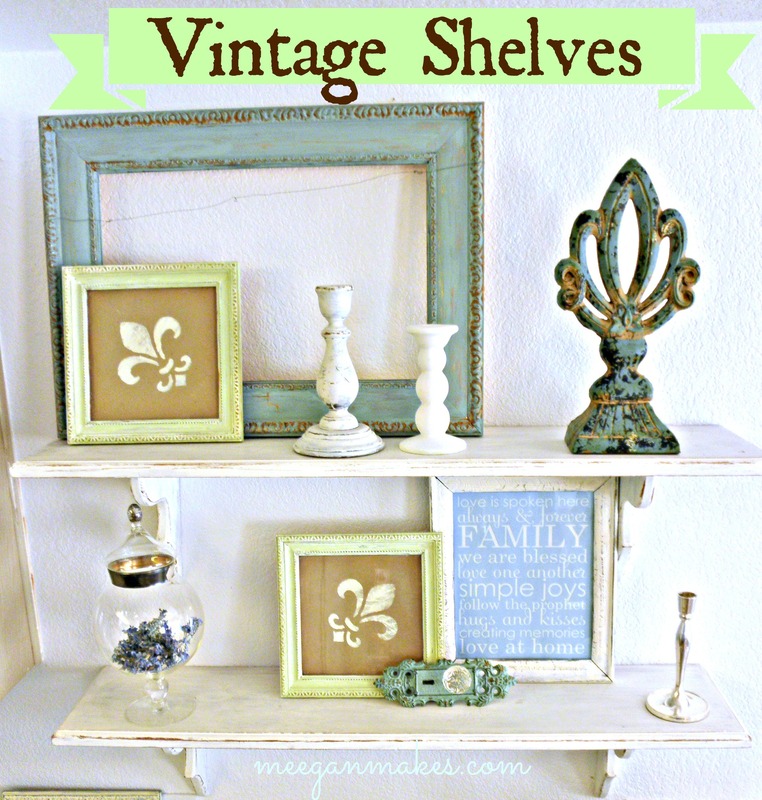 I like to change up my shelves, for every month and/or season. I like using various blues, greens and whites. To read all the details look here. I told you I’ve got the Monday Blues. And, now you can see why. Lovely blue furniture, wall, lamps, and ideas make me smile!! I hope they do the same for you, too. Be sure to subscribe to my blog by email, so you don’t miss a post. Make it a blue Monday!! 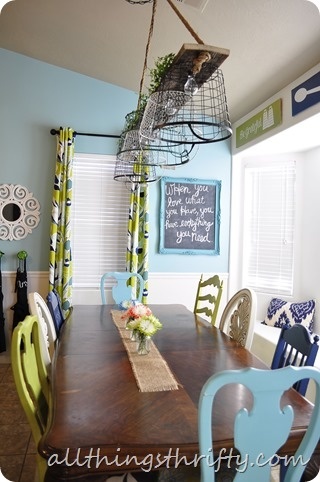 I love the dining room table and chairs. I would love to do something different like that in our trailer. I think if I had the nerve I would paint the 4 chairs a nice firery red! The thing that stops me is I did just make 2 pillow covers and matching table cloth for each month and they are not all red. I wish I had your courage in decorating! You are a wonderful inspiration! Thanks for featuring my vanity table today! Great post! Have a good week!